Monday, Tuesday, and Thursday 10:00 a.m. – 5:00 p.m.
Wednesday 10:00 a.m – 2:00 p.m. Rentals Open Daily 9:00 a.m. – 5:00 p.m.
No rentals during inclement weather or small craft advisories. The Red Tide never made it this far north in Tampa Bay. Come and enjoy the paddling trail. Weedon Island Preserve is performing maintenance on the trail and has removed the signs. Our staff has added temporary navigational aids to assist with your journey around the trail. Reservations not required for rentals; however, highly recommended. For over 25 years we’ve supplied the Gulf Coast with the most extensive selection of kayaks, canoes, paddle boards, and paddling accessories. We provide all levels of ACA and BCU Instruction, Guided Tours, Customized Classes, and Rentals. Stop into the shop and talk to our experienced and knowledgeable staff to get started on your next paddling adventure! 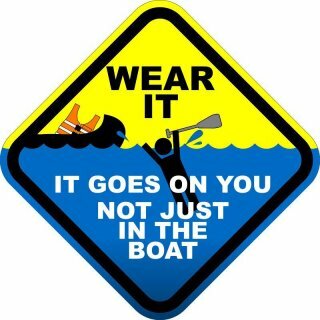 Need accessories for your day on or off the water? Flips, Water shoes, Tee shirts, Hatch Covers, and other sundry items are also available. PaddleBoards include: Bishop, Pulse, Hovie, Pau Hana, Rogue, Smooth, C4 Waterman, and more! We have a large selection of Standup Paddle Boards, Paddles & Accessories featuring Rogue, Pau Hana, Smooth, C4-Waterman, Accent, Kialoa & more. Not sure what board is right for you? Our ACA and BC certified staff offers lessons and demos to make sure you get the right board the first time. Call or stop in to set up your session today. Sweetwater Kayaks sells kayaks, canoes, and paddleboards for the beginner, the expedition minded paddler, and everyone in-between. We don’t just sell kayaks and paddleboards; we are a full service paddle sports store with the best trained staff in the area. Everyone on our staff is a coach and possesses certification from the American Canoe Association (ACA), British Canoe (BC), or both.Our ACA and BC certified coaches have the experience in fitting paddlers to the right kayak, or paddle board. Whether you are a beginner learning the basics, an intermediate paddler looking to add to or enhance your skills, or a seasoned paddler wanting to fine tune your paddling, we can provide the training you need. So let our skills, knowledge, and experience enhance your comfort, fun, and safety while paddling. Not sure where to begin your journey ? Come into the store and talk with the staff, you’ll be glad you did.